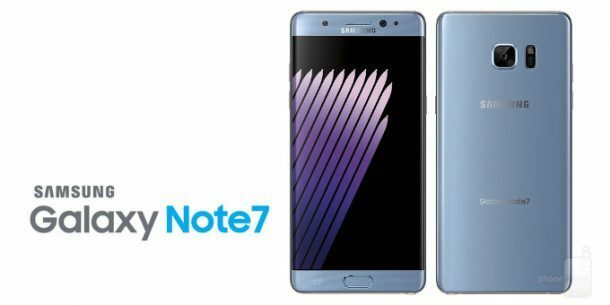 It was a good time for headlines when the euphoria of Samsung’s case of exploding Galaxy Note7 phone was at an all-time high. Now the spotlight is certainly fading away from the smartphone giant after their total recall of the model, but it seems as though another crisis has overtaken the company. Samsung is now facing a headache created by disposing off over 4.3 million “garbage” Note 7 phones which have become an environmental hazard. According to Greenpeace, an environmental group, Samsung’s failure to safely dispose off the batteries have the potential to pose grave environmental problems. This includes the release of toxic chemicals into the air upon burning the batteries, as well as the metal poisoning by the likes of tungsten, cobalt, silver and gold. According to Jude Lee, who is a senior IT campaigner for Greenpeace East Asia, recovering and reusing minerals and metals from the handsets require proper recycling of the plastics. Lee has also advised Samsung to mull over a recycling program to yield some components from the handsets and use them into future handsets, but sadly not a single company has responded to her suggestions positively. Lee is particularly worried about the phones being disassembled on a line by hand, which exposes workers to toxic substances. And even though many retailers in the U.S. such as Best Buy and Target do recycle kiosks for old gadgets, these are not enough to make a substantial difference. According to a report by the United Nations Environment Programme (UNEP), up to 80 percent of the recycling markets are located in developing countries such as China, India, Pakistan, Vietnam and the Philippines. IT products are burned in a backyard environment in these countries, creating harmful and poisonous emissions into the environment. Environmental Science and Technology have pointed out that the Chinese city of Guiyu, which is a hub of e-waste recycling, to be showing grave signs of respiratory issues in the children.